How can you tell if a mushroom is a friend or a foe? If you’re a fan of funghi, you’ll be pleased to hear that it’s peak mushroom hunting season. Edible mushrooms can be picked in all corners of the country, ready to be thrown into a pan of butter and thyme and served on toast. Caution is advised, however, when it comes to mushrooms. 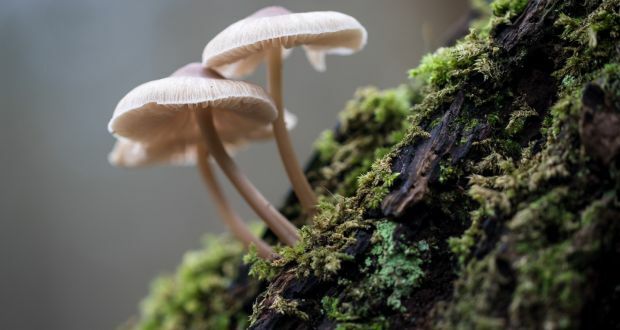 While many mushrooms are safely edible and can let you tap into the magically earthy taste of autumn, there are a few nasty varieties out there that can make people seriously ill. There are some that are fatal for the eater. So, how can you tell if a mushroom is a friend or a foe? Bill O’Dea is a mycophagist – otherwise known as a person highly interested in edible funghi. O’Dea runs mushroom hunts in the autumn months and helps his attendees to decipher between the good, the bad and the poisonous. “In Ireland, we’re a funghi-phobic society,” says O’Dea, in reference to people’s caution around picking wild mushrooms. Whereas other European nations really celebrate mushrooms and know all the pleasures of eating them in season, says O’Dea, we seem to have inherited a fear of wild mushrooms from our ancestors. O’Dea encourages caution but he puts the fun back into mushroom hunting by promoting clear guidance and specialised knowledge. “When it comes to mushrooms,” he says, “you want to keep your friends close and your foes closer. Before you head out foraging, learn all you can about the friendlier mushrooms. Study them until you know exactly what you’re looking for.” O’Dea recommends varieties such as cep, chanterelle, parasol and puff balls as being great common eaters and relatively easy to get to know and to identify by their appearance. On the flipside, arm yourself with knowledge by familiarising yourself with the highly toxic mushrooms, says O’Dea. He notes poisonous amanitas, poison pie, funeral bells and the yellow stainer as common mushrooms that make people sick – or worse. The best way to introduce yourself to the wonders of mushroom foraging is undoubtedly heading out with an expert. There are mushroom-foraging guides all over the country who can guide you through the experience and give you confidence in your own knowledge and instincts around mushroom foraging. Alternatively, an illustrated guide such as Collins Fungi Guide: The Most Complete Field Guide to the Mushrooms & Toadstools of Britain & Ireland by Stefan Buczacki, Chris Shields and Denys Ovenden gives a good indication of what to eat and what to avoid. • Mykogen i Fungis - czyli integracja na rynku • Does eating mushrooms protect brain health? Does eating mushrooms protect brain health?